Lance N. Owen - Where will my divorce case be filed? « Can my child select his or her custodial parent? The analysis can be much more complicated when a Georgia resident files for divorce against a nonresident spouse. 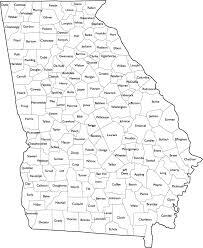 Georgia may have jurisdiction over some issues and not have jurisdiction over others. For example, Georgia may have jurisdiction to grant a divorce, but might not have jurisdiction to determine custody and/or child support. So, assuming that there are no parties that are nonresidents, where should the case be filed? The filing party may file for divorce in the county of residence of the opposing party (there are special exceptions for individuals who are stationed at military bases in Georgia). If the Wife is a resident of Henry County and desires to file for divorce against her Husband who lives in Spalding County then she must file her action in the Spalding County Superior Court. There is an important exception to this rule. Using the previous example, if the Wife lives in Henry County and the marital residence was located in Henry County then the Wife has the option of filing either in Henry County or in Spalding County for a period of six months following the separation. Once the six month window has expired she must file in Spalding County. Yes, this is confusing and complicated. This entry was posted on Saturday, April 6th, 2013 at 12:58 am	and is filed under Divorce. You can follow any responses to this entry through the RSS 2.0 feed. Responses are currently closed, but you can trackback from your own site.